You don’t really need to budget but…..
Do you really need to do budgeting? This have been the advise by the financial pros or those articles that tries to provide useful, and fast tips in listicles. I do it as illustrated by my extensive post here, but I felt that its not needed always. 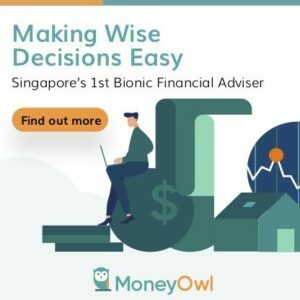 It is not needed if you have a good sensing of where your money is going, you are good at compartmentalizing your money in your head, and that you have good core money values that you aligned your money very well to them. A person that have good control of his or her money would know where they are allocating the money the family takes home. Even if they don’t record down, they have an idea how much they spend on groceries, transport, whether they are paying their insurance premiums monthly or annually and the amount paid. To them, they are seldom surprised by sudden outflows from their bank account, or that if they are surprised, they have a good way of tracing them. These sudden flows that they are unaware about are rare for them. Part of the advantage of budgeting is to help folks figure this part out, and often folks were surprised that they actually spend a lot in certain aspect of their lives, which they wouldn’t have figured out had they not gone through this exercise. Money is suppose to be fungible, meaning the money that you use to pay for your utilities can also be use to put into investment. They are made equal. However, we need, at a lot of times be able to figured out how much we have to pay for our insurance, to pay our vehicle road tax and repair some household appliances. Some folks are naturally good at this. For a lot of folks, they cannot do this well, and ends up spending almost all their money, and forgetting that they still have to pay for the insurance premium or that they have this wedding coming up. Some folks are naturally good at knowing what they want. More so, they know that they have only limited amount of money and can vary between spending more on what they value more in life and cutting down on what they placed a lower priority. Due to that their money situation turns out to be ok. I came across a few personal finance bloggers that belongs to this ilk and they do not budget. It worked out fine. Some are even on the path to fast financial independence, where they need to ramp up their rate they put away to wealth building. It helps a lot when you can automatically ask the question “do I need this?” or “do I need the best quality for this?” every time they buy something. For the folks that are in control of the 3 points above, not budgeting explicitly is an option. However, you will realize that to be able to know where the money is going and able to compartmentalize money well, it requires much brain power. We only have this much brain juice and studies have shown that we go through periods on and off where excessive use of willpower results in us succumbing to our usual discipline and veered off track of our financial goal. It is also shown that we can only make a finite amount of decision daily and you are likely to take the easier option once the threshold is reached. Things might have been easier if you have set up a habitual budgeting system, which after a while will be so ingrain that you will not find it tedious. And then we tend to be overconfident of our abilities. There are the folks that know they are in trouble, unable to keep track of where their money is going, and then there are folks that THINK they got a good handle when they actually do not. This is more important for the folks who are trying to make things work on a shoestring take home income. In all things, budgeting is a good best practice. You wouldn’t see a project director telling a particular project manager that he doesn’t need to show him the budget because he has got a good cognitive brain on his shoulders. A budget is a good form of communication tool for stake holders to know if they will see a massive bleed out through this project. No one likes a nasty surprise. Would they trust a smart manager on this and not have a written budget? Probably not. The smart manager would have realize he needs to communicate upwards, across but also downwards, and repeating the same old story every time to everyone is a bigger headache. It will be easy to lie to someone that you have things under control, but, if you really have a financial problem and you want to solve, you got to take this bitter pill. A financial problem such that you do not know where your money is going, living paycheck to paycheck, always needing money to take care of last minute surprises. These are the things that, you have better not think you can shy away from tracking where your money is going for a duration. It can be tedious at the start, because you are not familiar, but you have proven so far that you do not have the competency in the above three, and you have a poor result to show for it. Now is the time for you to do something about it and start finding out how to budget.